As the years passed by, it seemed like everything was getting easier and easier. No, we will rephrase that, as the years passed by, it seemed like consuming cannabis has gotten easier/confusing. The evolution of consumption can be summarized in a few pivotal moments: Rolling a joint, eating a brownie, and doing dabs. Somewhere in that timeline, there was a marvellous idea to make cannabis oil smokable in a cartridge and then connect that cartridge to a battery. And, EUREKA – vape pens were born! It seems pretty easy, right? You purchase a cartridge and battery then screw them together. Consumption has never been so easy! If you thought it was too good to be true, you are correct. Cartridge technology has come a long way. To start, we want to give a brief breakdown of the anatomy of a cannabis cartridge. There is a mouthpiece, a tank to safely house the cannabis oil and an atomizer inside the tank. The mouthpiece can come in many shapes and sizes, but they are typically made out of metal, ceramic, or plastic. The main function of the mouthpiece is so the consumer can inhale the product without feeling any kind of discomfort from the atomizer. Also, no one wants residual cannabis oil in their mouths after taking a pull. Next, there is the tank. The tank can be made from plastic or glass, but glass is preferred to avoid any kind of breakage. It would be a shame to drop a cartridge to have it break. 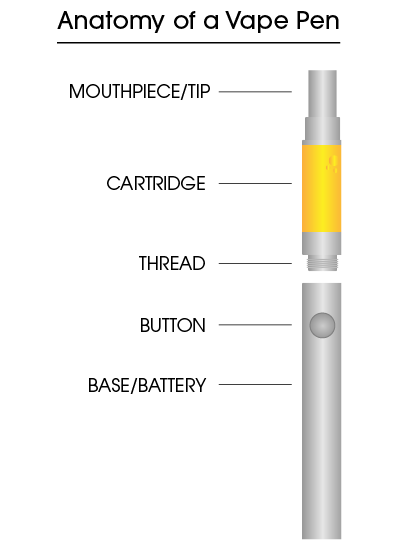 Now, the most important part of the cannabis cartridge – the atomizer. This component is responsible for burning the cannabis oil so the consumer can then inhale the vapor through the mouthpiece. When cartridges first hit the industry, atomizers utilized wicks. The wick served as a medium to soak in the oil and the atomizer can then heat up the wick which would burn the oil to produce vapor. Long story short, this technology became obsolete after a few years and then ceramic atomizers became the standard. The experience has improved drastically. Ceramic atomizers are much more reliable and this technology produces a much cleaner hit. The logic between this was to take away the “middleman” between the oil and the heating source. So, take away the wick and as we explained earlier, this makes for a cleaner, smoother hit. It doesn’t stop there, cartridge technologies have improved so drastically that companies like Pax are using proprietary technology to produce a cartridge with minimal failure rate. But, this new technology demands it’s own unique battery. It’s like how Apple forces their customers to buy Apple accessories. If you want to buy a Pax Pod, you must buy a Pax battery. As of right now, Pax Pod is the only technology that uses its own battery. In regards to a standard cartridge, there are many different battery/cartridge combinations. 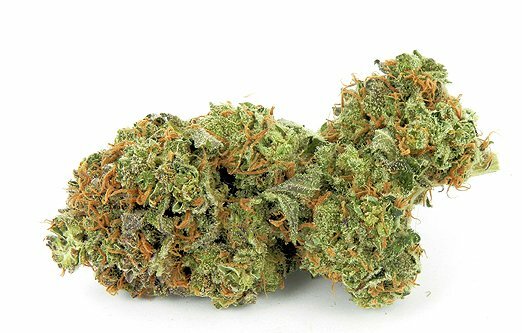 The best practice is to ask your budtender for their recommendation. For example, if you buy a Craft cartridge, you should buy a Craft battery. It’s pretty straightforward. If you have a mod box, a safe voltage to stay around is 3.2V to 4.0V so you don’t fry the atomizer. But, if you are confused, Green Dragon Sales Associates are highly trained and are ready for your questions. We understand that this can be overwhelming to first-time shoppers, so just stop by any one of our 12 locations and we will walk you through the whole process.